Figure 1. 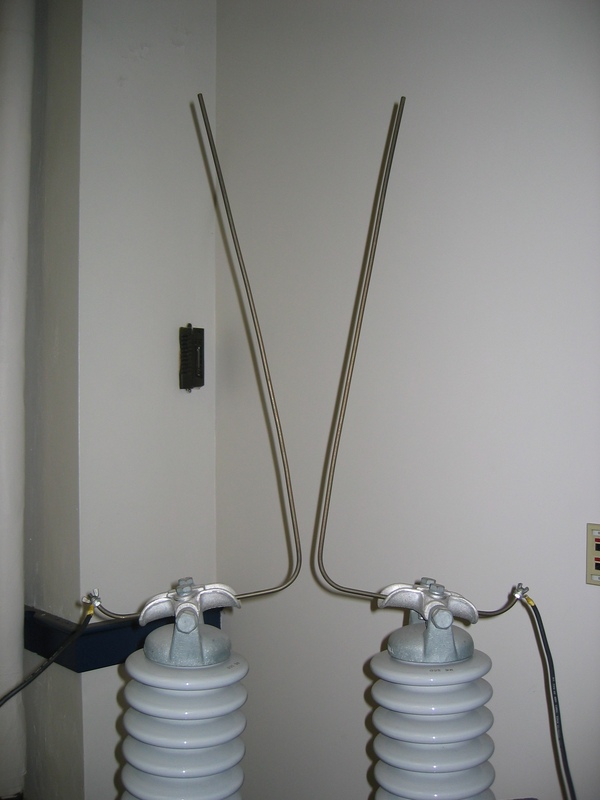 Ceramic insulators for breakdown voltage testing. The International Electrotechnical Commission (IEC) defines high voltage circuits as those with more than 1000 V for alternating current and at least 1500 V for direct current. The study of high voltage circuits is important in order to improve efficiency, safety and reliability of high voltage AC and DC power systems. Figure 2. 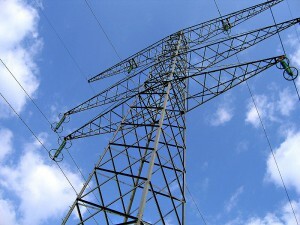 High voltage transmission line tower. When certain meteorological or loading conditions exist, the air begins to ionize, splitting into positively and negatively charged particles. An electrical spark, or flash of light can be seen once the breakdown voltage of the device has been reached. This can happen to solids, such as insulators, cables or conductors, or liquids, such as the fluids within capacitors and transformers. 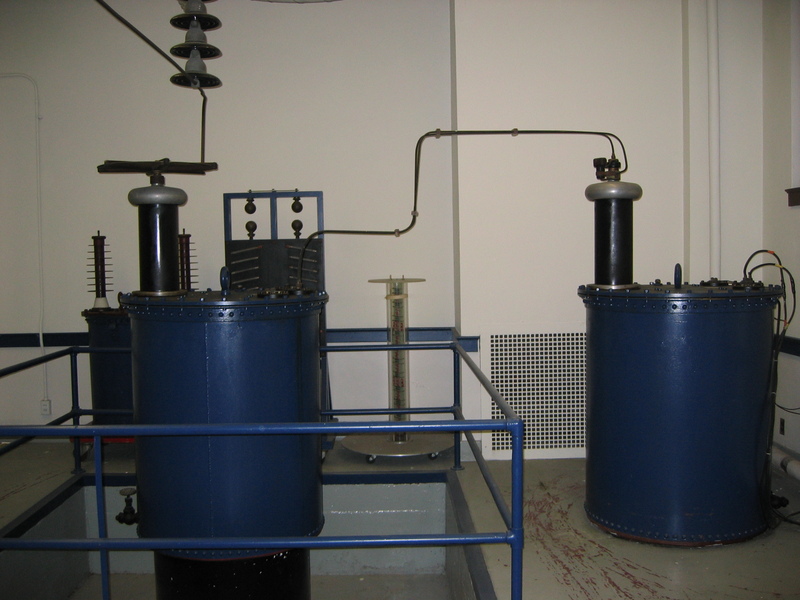 It is therefore important to properly test these high voltage electrical components to determine the breakdown voltage, as well as its effect on component performance. 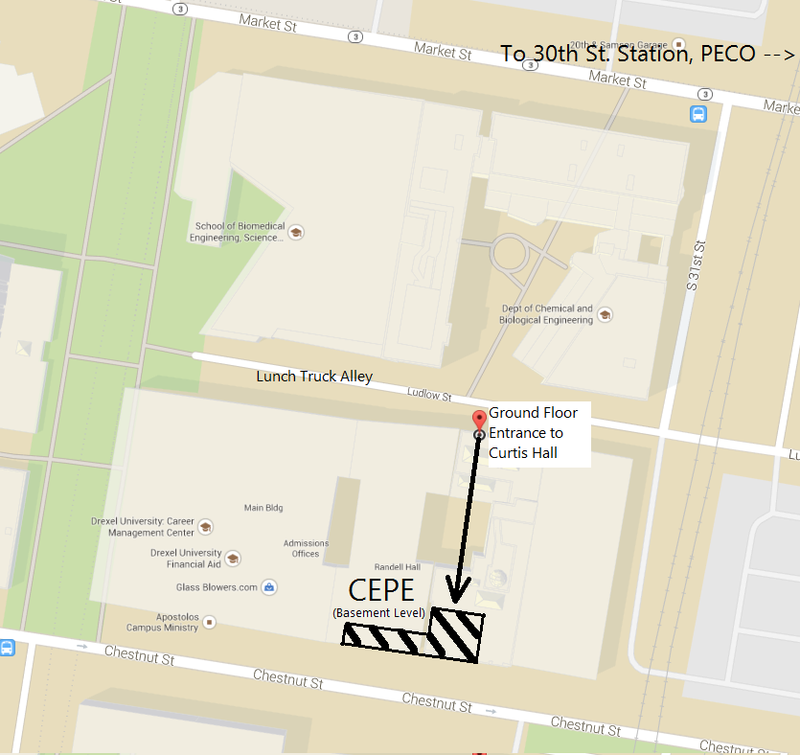 The HVL at Drexel University provides students with this testing environment. Figure 3. 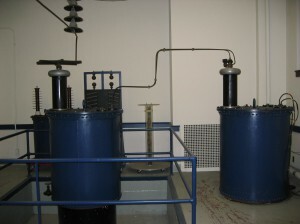 Two stackable 150kV transformers. Figure 4. Spherical spark gap testing. Figure 5. Jacob’s ladder experiment.